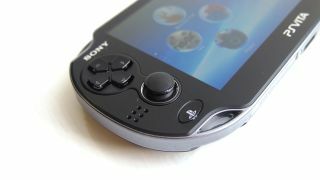 The Sony PS Vita's exciting Remote Play feature, which will allow gamers to play their PS4 games while away from the living room, is also capable of switching on the PS4 from stand-by mode, it has emerged. PlayStation executive Shuhei Yoshida has confirmed that the heavily-anticipated feature, first announced at the PS4 launch event in February, will stretch beyond gameplay. In answer to a question from a Twitter fan asking whether Remote Play could wake the PS4 from standby mode, the president of Worldwide Studios for Sony Computer Entertainment answered in the affirmative. While this isn't a hugely unexpected development, it does further open the discussion what else the feature may achieve? Will it be able to control the PS4's dashboard also? Last week at Gamecom, Sony confirmed that virtually all PS4 games will work with Remote Play, allowing users to pause or quit a game on their console and then pick up the action on their handheld over Wi-Fi. It also revealed that developers will be able to build Vita-specific features into their games, turning the handheld into a second screen device, like the Wii U's GamePad. With a price cut also announced this week, the question for PS4 fanciers seems to be: Can they afford to be without a PS Vita?